Willem de Kooning was friends with Paul McCartney from The Beatles. De Kooning stowed away on a freight ship to get to America from Europe. Later in life, de Kooning was diagnosed with Alzheimer's disease. 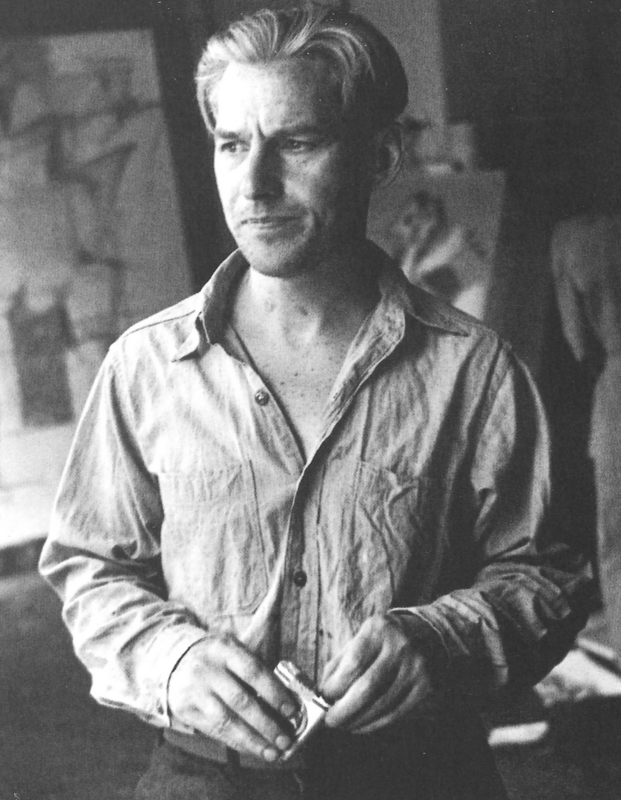 Willem de Kooning had a certain tortured bad boy thing going on. His alcoholic mother beat him starting young and constantly moved him around due to financial struggles. He always fanaticized about the world outside of his homeland in the Netherlands. So when he was 22 ,with not a penny to his name, he hitched a ride on a freight ship and headed to the US of A. What he soon found out about America is that it’s really not that cool. Or so he felt. He always held a very romanticized view of the place so when he came over and found that, in his opinion, it wasn’t very different than Holland, he was pretty bummed. He made it work though, taking on odd jobs in the commercial art world and drinking away his sorrows. Things began to turn around for Willem, though. He quickly gained recognition as an artist and soon became associated with that new hot art movement of the '50s: abstract expressionism. This movement consisted of a group of manly, alcoholic bros and de Kooning fit right in. He was known to be a womanizer and had a penchant for the sauce. His crazy partying continued throughout most of his life until the age 75 when he was diagnosed with Alzheimer’s disease. Ultimately the court ruled that he was unfit to manage his estate and it was conserved by the state. While this was a total bummer for him, it is safe to assume that most of the people who collected his art were excited. Once de Kooning succumbed to the disease and was unable to produce as much art, the prices of his paintings skyrocketed. One of his paintings even brought in $137 million at auction! Sort of messed up that as an artist you know all your fans are secretly hoping you get sick or die. Ah well, the price you pay for fame. Willem de Kooning (/də ˈkuːnɪŋ/;Dutch: [ˈʋɪləm də ˈkoːnɪŋ]; April 24, 1904 – March 19, 1997) was a Dutch American abstract expressionist artist. He was born in Rotterdam and moved to the United States in 1926, becoming an American citizen in 1962. In 1943, he married painter Elaine Fried. Check out the full Wikipedia article about Willem de Kooning.